I read that cardinal Ratzinger stated the story in Genesis 1 and 2 should not be interpreted as a literal account of the beginning of things. In spite of recent events like this, they have always been in favour of a literal explanation of creation based on Genesis. This is what I read. Why is it that the Catholic church changed their views on such an important matter? The question about the origins of the world and of man has been the object of many scientific studies which have splendidly enriched our knowledge of the age and dimensions of the cosmos, the development of life-forms and the appearance of man. These discoveries invite us to even greater admiration for the greatness of the Creator, prompting us to give him thanks for all his works and for the understanding and wisdom he gives to scholars and researchers. With Solomon they can say: "It is he who gave me unerring knowledge of what exists, to know the structure of the world and the activity of the elements. . . for wisdom, the fashioner of all things, taught me." Faith and science: "Though faith is above reason, there can never be any real discrepancy between faith and reason. Since the same God who reveals mysteries and infuses faith has bestowed the light of reason on the human mind, God cannot deny himself, nor can truth ever contradict truth. "37 "Consequently, methodical research in all branches of knowledge, provided it is carried out in a truly scientific manner and does not override moral laws, can never conflict with the faith, because the things of the world and the things of faith derive from the same God. The humble and persevering investigator of the secrets of nature is being led, as it were, by the hand of God in spite of himself, for it is God, the conserver of all things, who made them what they are." In this case, the scientific evidence against a literal reading of Genesis is so overwhelming that if truth cannot contradict truth, it suggests that the error is to read Genesis literally. I do not know why it took so long for the Catholic Church to recognize this, but the current position is internally consistent and reasonable. If they were to continue to insist on a highly literal interpretation, they would have had to drop their position on discrepancies and simply state that faith wins. That would have been a much larger doctrinal change than maintaining (as they do, to my understanding) that Genesis 1 and 2 is spiritually accurate without being a literal account of all events. More on this topic can be found in a large number of places, including here. My mother-in-law has that book you link to (she's a very traditional minded Catholic and would be aghast if the Pope invalidated the Genesis account). I read a little of it and it's more or less a collection of meditations written by then Cardinal Joseph Ratzinger, it has no official doctrinal significance and is little more than his opinion. Frankly, I'm aghast that someone could infer from a collection of meditations, written by a man who didn't even really want to be pope, something about Catholic doctrine. 42.) Can someone accept the theory of evolution and still believe in the Creator? 43.) Is the world a product of chance? 44.) Who created the world? 45.) Do natural laws and natural systems come from God also? There's a lot more to those answers than just yes's or no's, but it's nice that initially they don't mince the words. I'll leave it to you to get your hands on a YouCat in case you want to know more, just find someone who went to World Youth Day in Madrid in 2011 and they ought to have one in your language. However, and to your exact point, question #46 has a more nuanced answer. I won't quote it completely since it's copyrighted, but I'll try to give you the gist of it all. 46.) Why does the Book of Genesis depict creation of the world as "the work of six days"? The symbol of the work week, which is crowned by a day of rest, is an expression of how good, beautiful, and wisely ordered creation is. It goes on to give 7 points, which I'll phrase in my own words. All of creation is connected somehow. Everything that was created is a reflection of God's glory. There is a hierarchy in creation and more complex beings (us) are on top of it. All of this points to a glorious and final end where we all be one in God. Science is not going to inform our theology any more than theology is going to inform science. They're completely separate entities and they tell us completely different thing. Theology is infinitely more important than science since it concerns our ultimate destiny and knowledge of science is not necessary for entrance into Heaven. Science is not the realization of what is hoped for nor the evidence of things not seen. Theology is for the simple (Virgin Mary, St. Bernadette, St. Juan Diego, the 3 Children from Fatima) and it was not incumbent on them to understand complex theological principles any more than it was incumbent on them to understand complex scientific principles to receive God's grace. If you show me one scientist who fully understands the Big Bang, Evolution and Quantum Mechanics, I'll show you one scientist who fully appreciates God's grandeur in the infinite and infinitesimal. And that [the unheard-of precision of the processes associated with the "Big Bang"] is supposed to have happened by chance?! What an absurd idea! More recently, Pope Francis has made a statement that more than confirms Cardinal Ratzinger's position. Francis said it was easy to misinterpret the creation story as recounted in the book of Genesis, according to which God created heaven and Earth in six days and rested on the seventh, saying, “When we read the creation story in Genesis we run the risk of imagining that God was a magician, with a magic wand which is able to do everything.” Pope Francis said there is no incompatibility between the Big Bang or evolution, and God as divine creator. If the biblical creation account in the book of Genesis is based in part on pagan creation accounts, then it is neither original nor inspired directly by God. It's heresy and another reason he is not a Catholic, and was not a Pope. He was the head of the counterfeit Catholic Church set up in the last days prophesied by Our Lady of LaSalette, Pope St Leo XIII, Our Lady of Fatima and The Book of Revelation. Not the answer you're looking for? 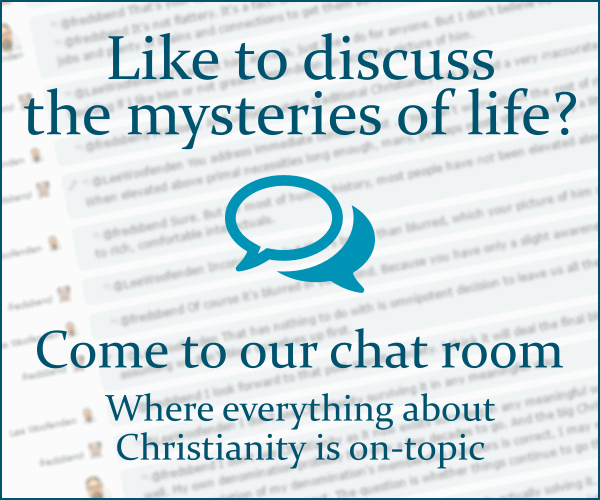 Browse other questions tagged catholicism creation papacy or ask your own question.